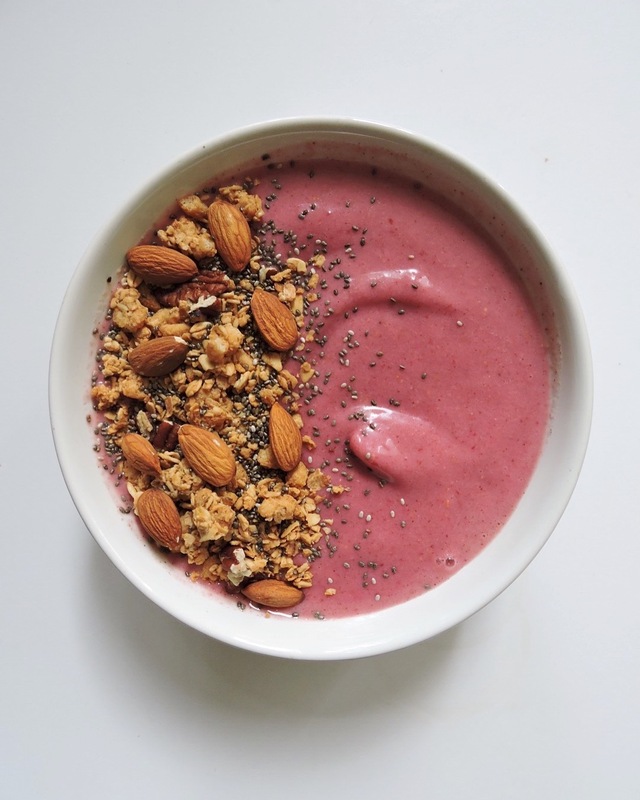 Smoothie bowls; who doesn’t love them? If you’re anything like me, you follow a bunch of Instagram accounts that post amazing smoothie bowls and drool at all of them. And, if like me, you want to recreate those smoothie bowls, then keep reading. 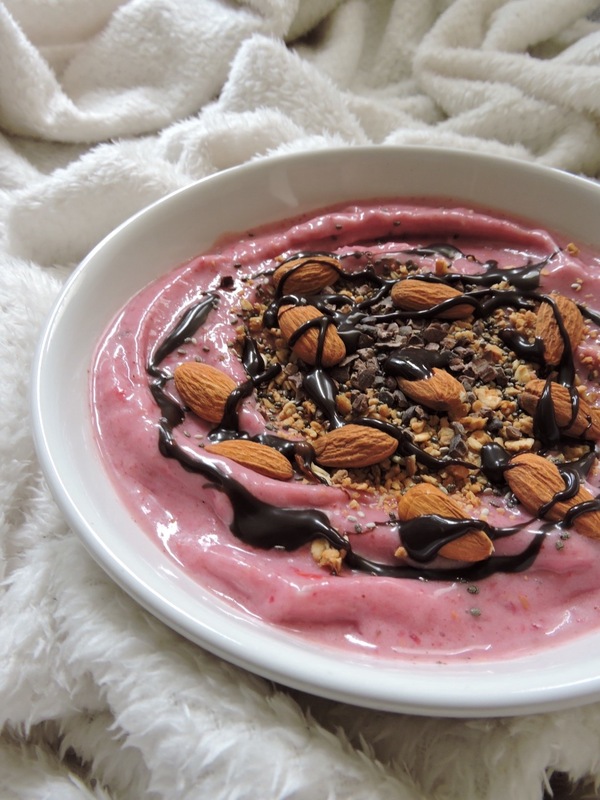 Today I am sharing my recipe for a delicious raspberry and peanut butter smoothie bowl. Take your bananas out of the freezer and let them defrost a little bit, just on your counter top, for around 15 minutes. This makes it easier to blend them, especially if you have a cheap blender like me. Add the banana, raspberries, peanut butter, soy milk and water to your blender. Start blending: sometimes you’ll find that it gets stuck. If this happens, stop the blender and move the mixture around with a spoon. This should help it to continue blending. Once your mixture is smooth you’re ready to make it look pretty. Add it to a bowl and add your toppings. And take a picture of that delicious creation! And that’s it; like I said, super simple. If you try this recipe out let me know and if you take a picture of it, share it with me on Instagram! You can tag me using my Instagram account, just click here.